If you’re planning a convention in Boston, the Boston Public Library may be on your list of “must-see’s” for your attendees, with its beautiful, Italianate architecture and wide array of exhibits and special events that are open to the public. Plus, there are wonderful spots to sip a cup of coffee or enjoy a lovely afternoon tea. 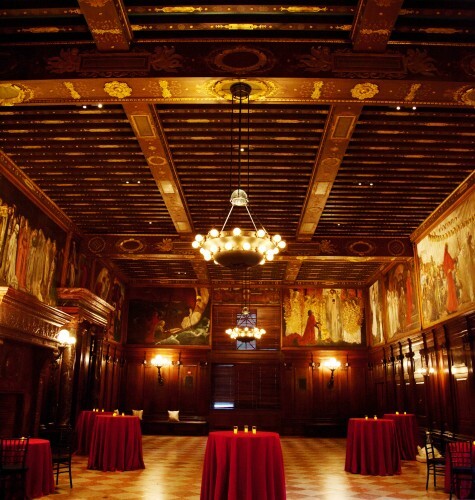 Beyond it’s role as a “palace for the people”, the Boston Public Library serves as a stunning space for private parties and convention events. From its meeting rooms to the cavernous classic reading room in Bates Hall, the Boston Public Library opens its doors to meeting and convention planners for special dinners, cocktail receptions and corporate events in our unique and historical building. Close to the Hynes Convention Center and centrally located near a number of hotels, parking garages and public transportation, the Boston Public Library is an ideal space for convention-related parties and events. The Catered Affair at the Boston Public Library works with meeting and event planners to develop creative dinners, cocktail receptions and events that highlight Boston’s unique features and culinary offerings, and provide a setting in the library that is a uniquely memorable experience for the guests. For brands looking to make a big impression or companies hoping to attract potential clients with an event that will stand out from the long roster of options at a convention or meeting, the once-in-a-lifetime experience of attending a party in a library and the incredible food and decor that The Catered Affair provides is the answer. Hold an elegant “Classic New England” sit-down dinner in Bates Hall, the library’s classic reading room that’s characterized with quintessential green-shaded lights at long reading tables. Guests will get a true library experience at elegantly decorated tables that let the building’s architecture speak for itself. Wow guests with a cocktail hour featuring regional seafood classics like iced jumbo shrimp cocktail, a raw bar, a New England smoked fish display, Maine crab cakes or lobster bisque shooters. Facilitate conversation over a delicious dinner that starts with a salad featuring Vermont chèvre, a grilled filet mignon paired with crab-stuffed jumbo shrimp and fresh desserts ranging from mini ice cream cones to fresh fig and berry clafoutis. 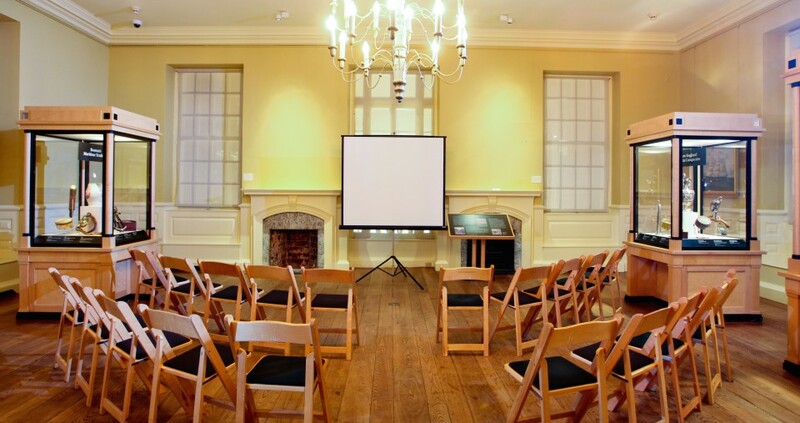 Or, elect to have an event with international flair in the Abbey Room, with its dark wood features and historic paintings depicting the Quest for the Holy Grail. Bring guests around the world (or around Boston!) with a variety of cocktail hour and dinner stations. Explore Boston’s historical flavors, or the range and variety of fare from Massachusetts’s counties with one of our custom-crafted menus to introduce your guests to the best of Boston! Whatever your choice of theme, The Catered Affair can bring it to life with food and decor. 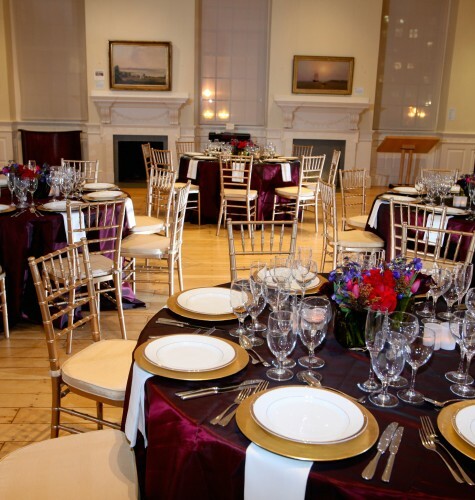 For a more casual cocktail affair, consider an event in the Johnson Building. Newly renovated and sleekly designed, the Boylston Hall’s open layout, soaring ceilings and double staircase give you the opportunity to impress your guests with a dramatically decorated space while they enjoy one of our brilliant menus and custom cocktails and drinks. 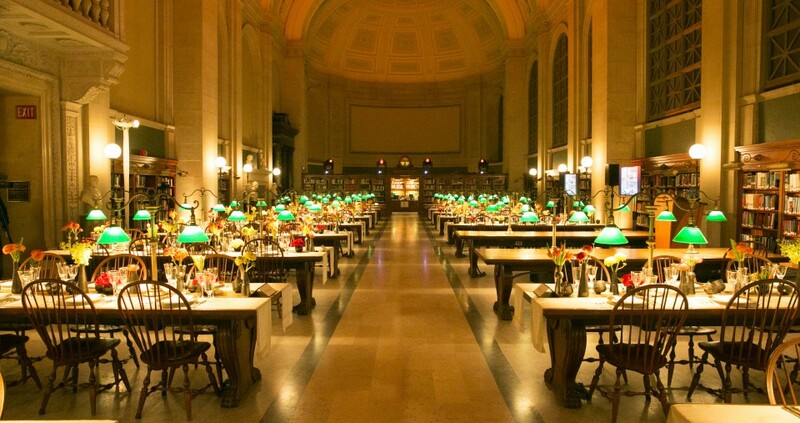 Delight convention or meeting attendees or potential clients with a fresh party that stands out from the traditional convention events by bringing them to the centrally-located Boston Public Library for an event that will be as memorable for its location as for its food. Contact The Catered Affair today for more information about holding a convention event at the Library.